Many ills begin in the gut, so having a healthy digestive system is key to your wellbeing. 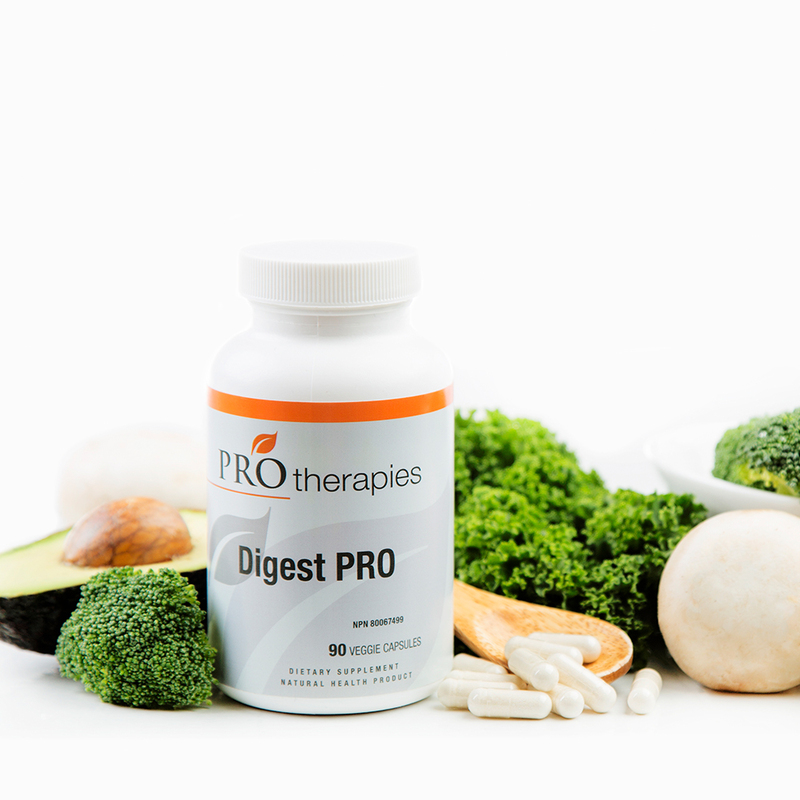 The multi-dimensional action of DigestPRO helps to replace the enzymes naturally found in raw foods that are lost in cooking and processing. 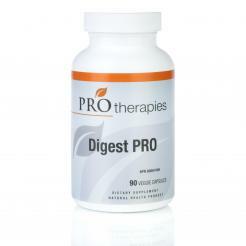 Digestive distress from indigestion, gas, bloating, or acid reflux gets relief with DigestPRO. 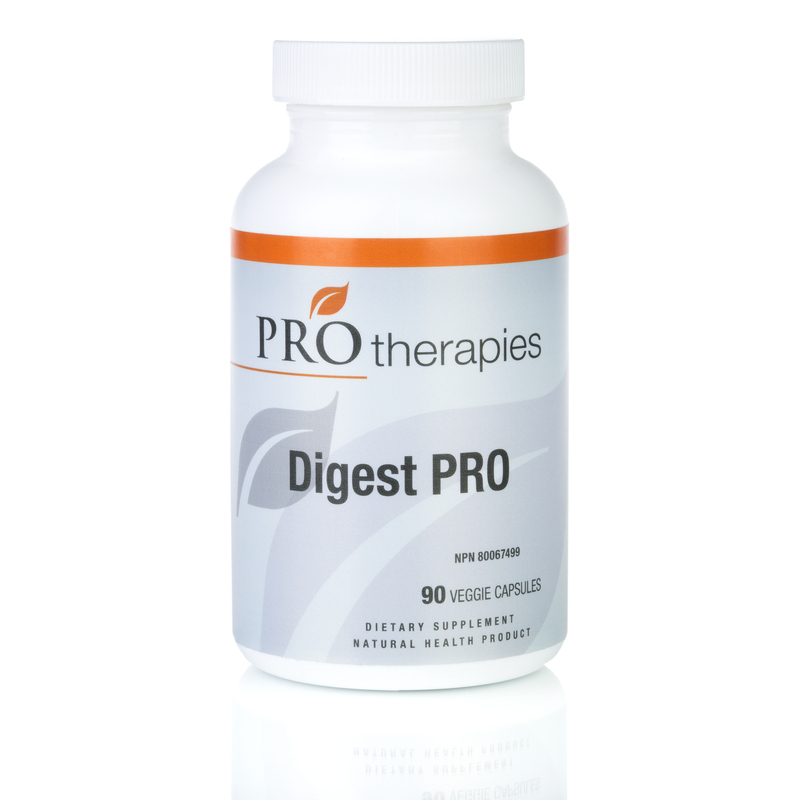 This full spectrum digestive enzyme formula effectively breaks down proteins, carbs, fats, dairy, vegetable fibers, and even gluten to rescue your digestive system. Enhanced with Betaine HCl, this digestive support product is quick to act in acute situations or beneficial for daily use. Other Ingredients. Maltodextrin, Medium chain triglycerides, Hydroxyproply Methylcellulose. Adults: To help support digestion, take 1 capsule 3 times a day with or immediatly before a meal/food or as directed by a health care practitioner. © 2018 PROtherapies Inc. All Rights Reserved. This site is for consumers looking to buy weight management products and high quality supplements. If you are a healthcare professional who would like to offer supplements for sale through your practice, please click here.